Are you ready to launch your website and need a place for it to call home? Choosing a domain registration service is one of the most important decisions you’ll make to get your website up and ready for business. But with hundreds of viable options, how do you know where to turn? Two of the most popular services are Namecheap and GoDaddy, and both are worth serious consideration. In fact, we chose Namecheap as our number one pick, and GoDaddy came in third in our comparison article Best Domain Registrar. But which one is best for your website? Keep reading to see how they stack up against one another in the battle of the big domain services. 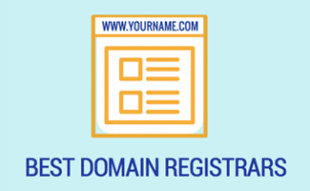 Namecheap, our top pick in our “Best Domain Registrar” rankings, is one of the top ICANN-accredited domain name registration companies. Their pricing is among the best around for a reliable, secure and easy to use domain registrar — and you get a lot of bang for your buck with their features. Namecheap manages more than three million domains, and while they offer web hosting, domain registration is their core business. Namecheap has been in business since 2001 and serves nearly 1 million customers. Pricing varies depending on the extension you’re registering. Generic TLDs, like “.com” are the least expensive. Namecheap often has seasonal coupon codes, visit our dedicated Namecheap coupon page to see and discuss current offerings. GoDaddy, our number three pick for “Best Domain Registrar,” is the world’s largest domain registration company with more than 51 million domain names and 13 million customers. GoDaddy offers an extensive range of available domain names and a wide variety of extensions. And they’re offering extremely attractive pricing for your first year, but their renewal pricing at $14.99 is significantly more than Namecheap’s renewal fee. Still, GoDaddy is a reliable and secure option. Although GoDaddy offers several other services, including web hosting, website building, online marketing and more, their real strength lies in their domain registration services. GoDaddy often has seasonal coupon codes, visit our dedicated GoDaddy coupon page to see and discuss current offerings. Here we’ll explore a few of the most important features with a domain registrar and see how Namecheap vs GoDaddy compare head to head. We hope this will help you further nail down which features are important to you. Both GoDaddy and Namecheap have excellent search tools to help you find the domain name you want, but that’s basically all they have in common. Namecheap’s interface is simple and extremely intuitive, while GoDaddy’s is cluttered and harder to navigate. Domain management tools are easier to use with Namecheap vs GoDaddy. And the checkout process with Namecheap is seamless — you can get your domain name and check out within a matter of minutes. GoDaddy’s checkout process is confusing, partly due to all the up-selling they throw at you during your user experience. Namecheap and GoDaddy both offer 24/7 customer support via email ticket and live chat. GoDaddy also has 24/7 phone support; Namecheap does not. This omission could be a big factor for you. Based on user reviews we’ve seen online, however, GoDaddy is notorious for having long caller wait times, and while they advertise live chat, when we went on their website a few times, we received a message saying live chat was experiencing high volume and unavailable. On the other hand, Namecheap’s live chat gets good reviews for being quick and helpful. 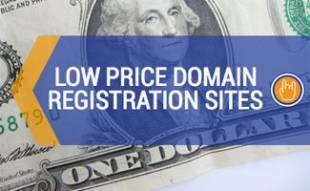 Many domain registrars give you a hefty discount for your first year, and then their regular pricing kicks in. If you’re planning on using a domain service for more than two years, Namecheap is the way to go at $10.69 per year, compared to GoDaddy’s $14.99 per year. But if you just need to save money up front, it’s hard to beat GoDaddy’s introductory pricing of $2.99. With that said, more features are included in Namecheap’s basic pricing for the first year than with GoDaddy — a heavily discounted SSL certificate and free domain privacy protection from the Whois public database. You’ll end up paying much more with GoDaddy if these are features you desire in your domain registration company. What’s the Difference Between a Domain Name, Website and Hosting? Before we move on to our section on Namecheap vs GoDaddy in terms of their web hosting services, check out this short video by GoDaddy that does a great job unraveling the confusion over how domain names, websites and web hosting work together. What About Namecheap vs GoDaddy for Web Hosting? As we stated earlier, Namecheap and GoDaddy’s primary focus is domain registration, but they also both offer shared web hosting (meaning your website shares server space with other websites, instead of having your own dedicated server space). If you don’t need a lot of disk space, bandwidth and features, both are decent choices. GoDaddy is the better choice for web hosting over Namecheap — they’re reasonably priced, offer much more disk space than Namecheap and have a better web hosting reputation than Namecheap. Still, if you’re looking for a more robust and reliable web hosting service, there are better choices out there. Check out our Best Website Hosting comparison article to see our top picks for web hosting services. 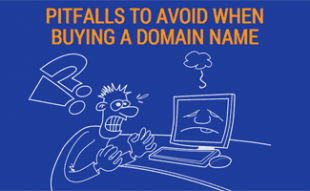 Both Namecheap and GoDaddy are extremely popular and well-respected domain registrars. In fact, GoDaddy currently holds 9.4% of the entire TLD market share (out of 257 domain registrars worldwide). You really can’t go wrong with either choice compared to most other services on the market. 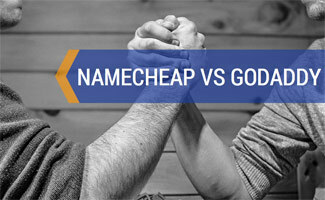 But when compared head to head against one another, Namecheap comes out on top overall. Still, as we’ve pointed out, your choice comes down to the features you’re looking for with a domain registration company. If you’re interested in seeing how Namecheap and GoDaddy stack up against other top domain registrars, check out our Best Domain Registrar comparison article. If you’ve used both Namecheap and GoDaddy, which do you prefer and why?